Last year, the son of the 1982 world champion moved from midfield Williams to a team that, he hoped, would allow him at last to move up to the front rank of drivers. He was therefore frustrated to finish seventh in the 2010 world championship - the same position he occupied the previous year. 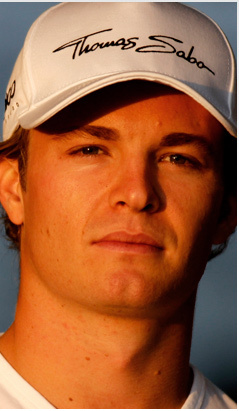 Having become the first of Michael Schumacher's team-mates to beat him over a full season, Rosberg was one of the few in the Mercedes camp who emerged from 2010 with his reputation enhanced. But will frustrations start to show if he faces another year of being thereabouts rather than there in 2011?